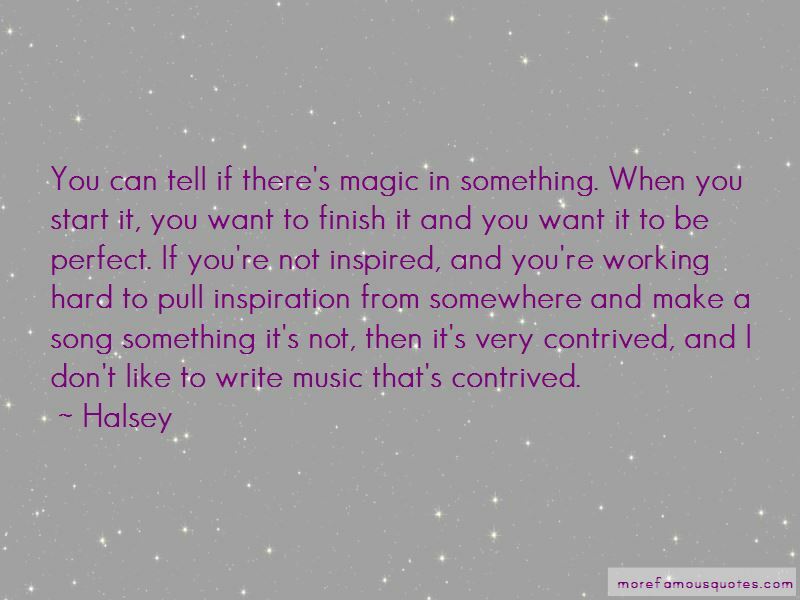 Enjoy the top 98 famous quotes, sayings and quotations by Halsey. I didn't even realize I was writing songs - I thought I was just being witty and sarcastic. Even if you can't relate to what I'm singing, I hope you can believe in it and see it as something that it is real. Every 16-year-old person has a love for pop in them because pop is popular. I like writing about places, about people and environments. When I create a world, it lets me go in and define the details of that world. I love Kanye West. I think he's a visionary. He's one of those people for whom I separate his personality from his artistry. I love Quentin Tarantino; I love Harmony Korine, Larry Clarke. I wouldn't trivialize my existence into a hashtag. My mom has every issue of 'Billboard' I've ever been in. The environment around you shapes who you are. 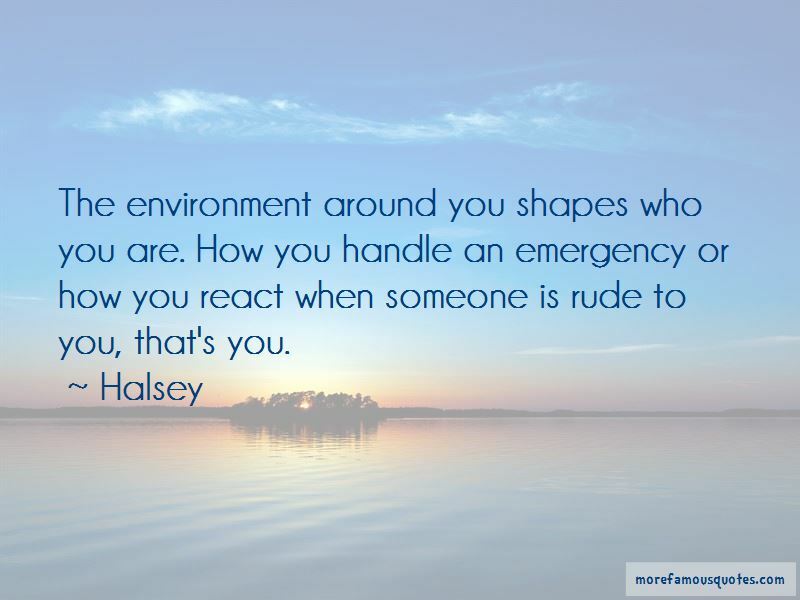 How you handle an emergency or how you react when someone is rude to you, that's you. I have this first album that sells more than 100,000 copies in its first week, debuts at number two, goes gold, the single goes platinum, we're doing Madison Square Garden. I was a weirdo. I think I wanted to be liked, but I didn't have the attention or bother to actually make an effort to be. I also think I had a different perception of what I needed to do to be liked. I'm 21 years old, and it's kind of uncomfortable for me to talk about, but I'm in the 1 percent as far as my income and tax bracket. But now that I'm here, there's no amount of money you can wave in front of my face that will make me understand depriving people of human rights. Being an artist and having a following can be a very scary thing because idolization makes you question your inner role in the universe. A lot of people get caught up in this idea of, "Wow! This world does revolve around me," and it most certainly does not. It's the exact opposite; these people don't exist for you, you exist for them. There's a booming, rotating, never sleeping city in the center of my brain and no body can come in and I can't escape. I have a strange sense of pride that my brain works that way, but I'm also terrified of what would happen if I ever tried to think in another way. 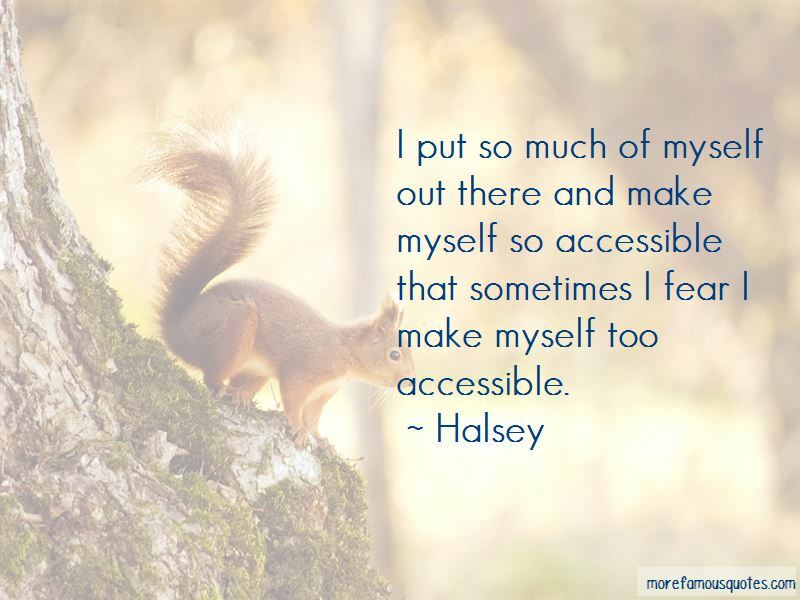 Want to see more pictures of Halsey quotes? 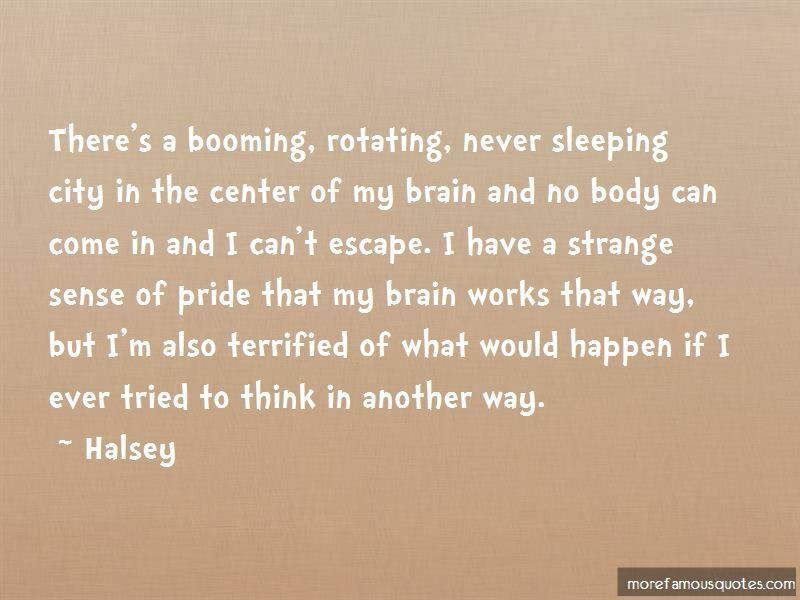 Click on image of Halsey quotes to view full size.